Spring is my favorite time of year! I love the hope and early promise that the season’s first warm days and sunshine bring. 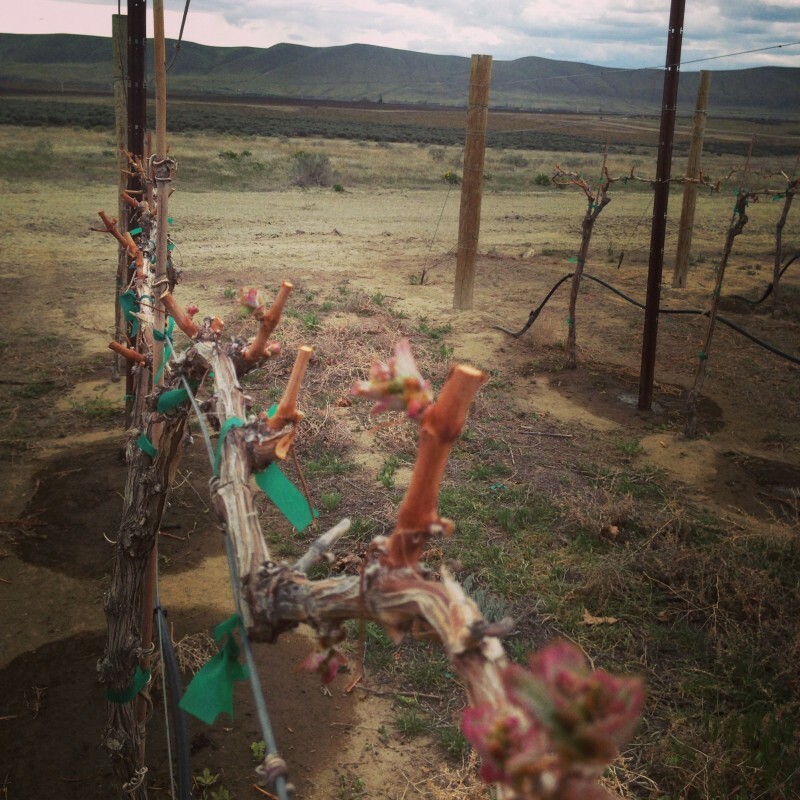 All winter long I’ve watched as our little estate vineyard has laid dormant, patiently waiting for the longer days, sunshine, and wind that spring brings to Red Mountain. 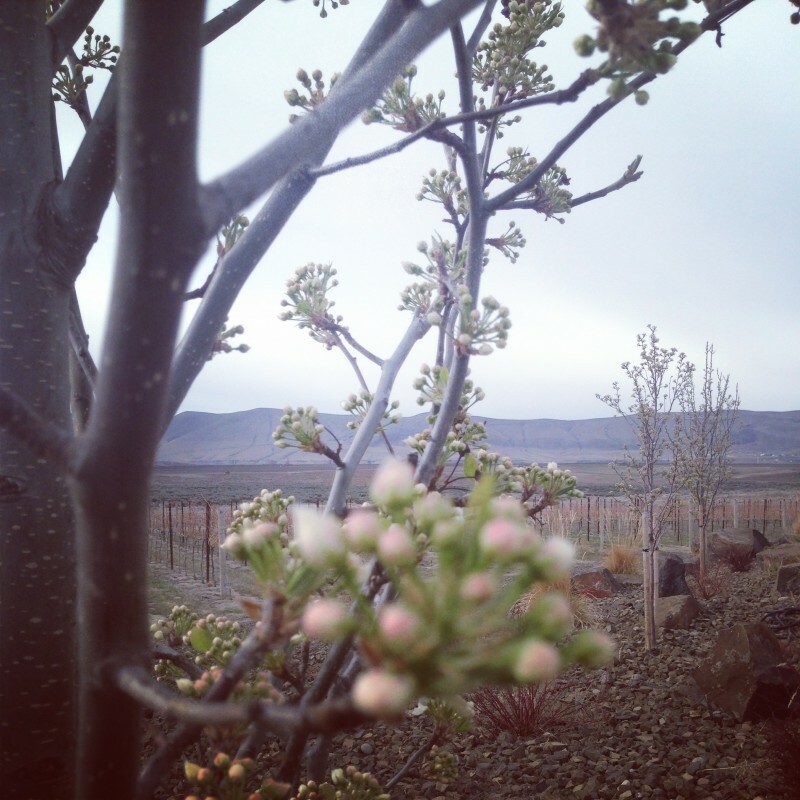 My excitement for bud break and the 2014 season grew as the trees around our Red Mountain tasting room started to produce their first buds and blossom into gorgeous pink and white flowers! 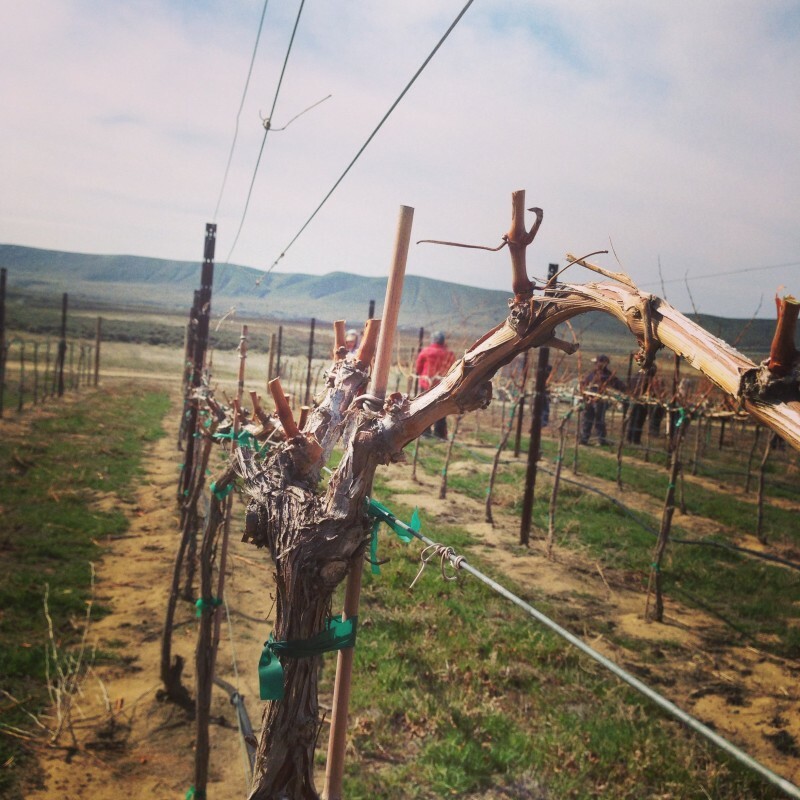 My anticipation for things to come was barely contained when on March 31st we pruned the three acres of our Estate Cabernet Sauvignon. The blue sky peeked through the clouds as I wandered around taking photos of the action; it was almost as if I was receiving a (slightly late) birthday gift from Red Mountain! Charlie stopped by earlier today to pick up some wine. After a quick chat, we said our goodbye’s and I went back to my tasks. As he was leaving, his well trained eyes picked up what I had previously missed! 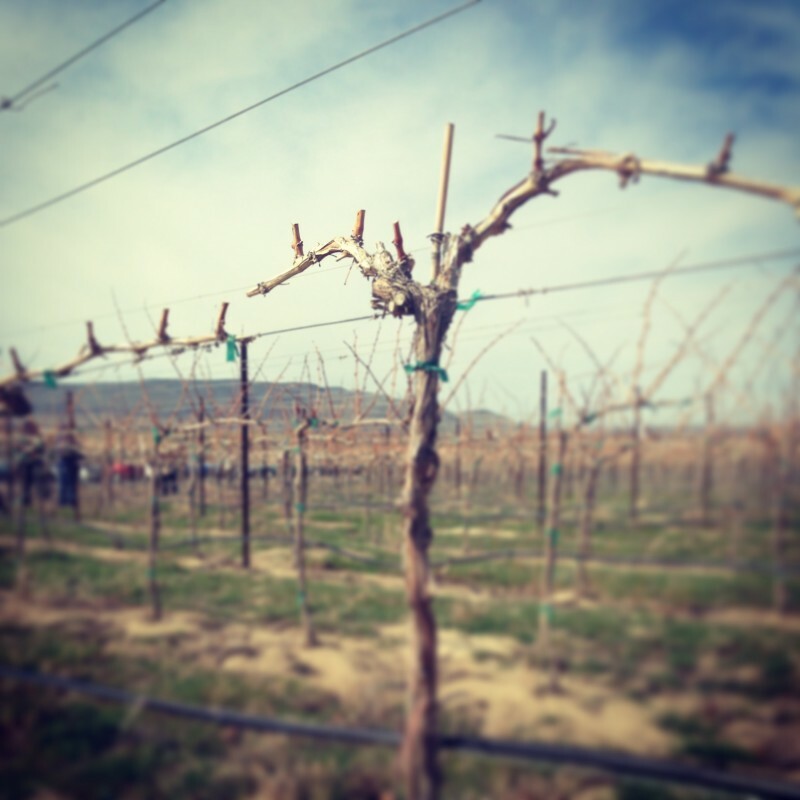 The first buds of the season on our vines!! Such a happy sight for me! 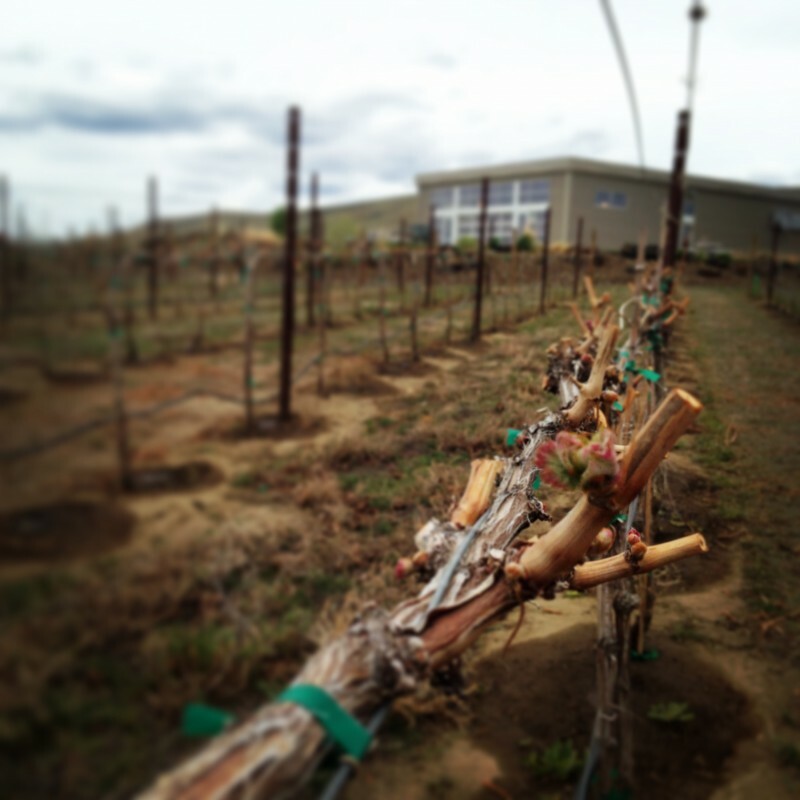 Here are a few more photos of our Estate Cabernet Sauvignon and early bud break for your viewing pleasure. 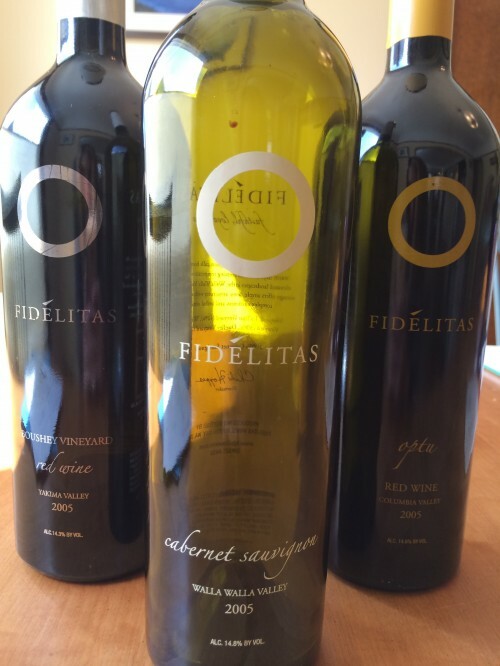 I hope all of our Faithful, Loyal, and True wine family is just as excited as I am for the upcoming season. 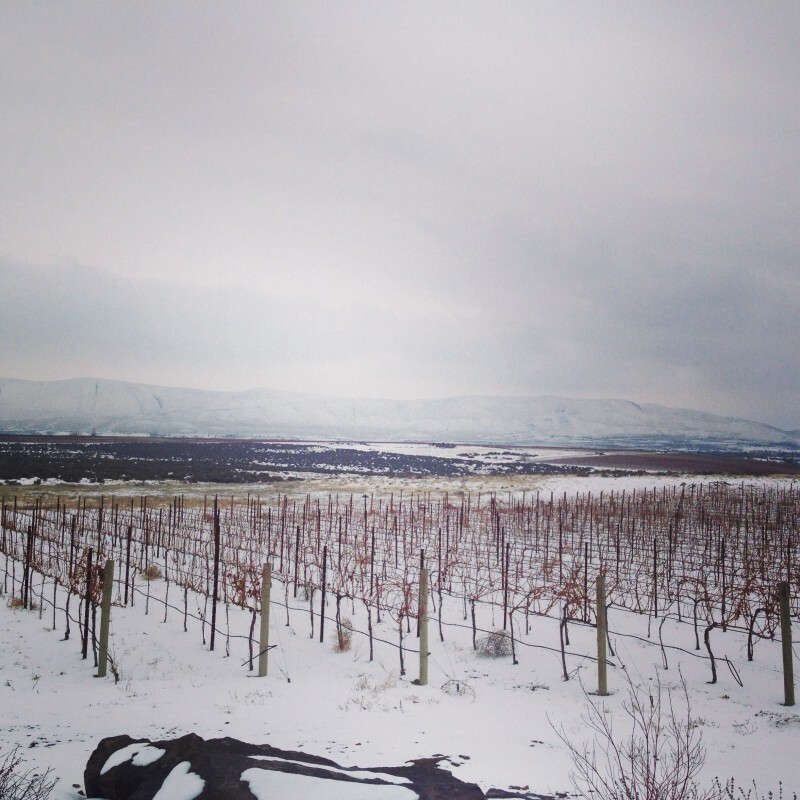 I wish everyone a happy and hopeful Spring Season and I cannot wait to share more wine, stories, and laughter with all of you in 2014. Cheers to a fantastic Spring!